Mali and Russia Arms Deal in the Works? Russia’s state arms corporation Rosoboronexport is considering a request from Mali for arms supplies, Russia’s Defense Minister Anatoly Serdyukov said on Thursday. 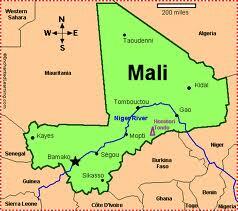 “Support (for Mali) is not the issue, as yet. There has been contact regarding arms purchases. As far as I know, Rosoboronexport is considering this question as part of our regular military-technical cooperation,” Serdyukov said. The situation in the country was further complicated by events in neighboring Libya, where the ruling Gaddafi regime fell in 2011. The return to Mali of the Tuareg’s armed fighters, the MNLA, which had been used as protection by the former Libyan leader, led to a separatist war and formation in April of a separatist state of Azawad, occupying a third of Mali’s territory.